Product #60518 | SKU ES-T14-AB | 0.0 (no ratings yet) Thanks for your rating! 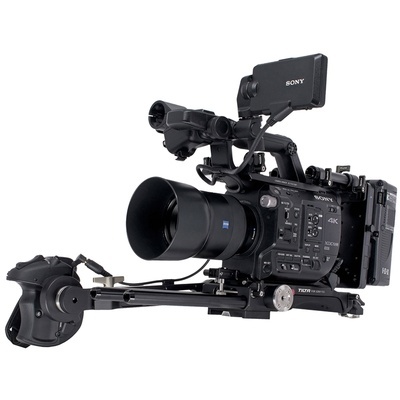 Arm your camera with this Tilta ES-T14 Camera Cage specifically designed for the Sony PXW-FS5. The Gold Mount Battery Plate for Sony FS5 Camera Cage has a 15mm LWS rod adapter that can be placed on either the top or bottom of the plate to allow you to either mount it off of 15mm LWS rods from the top plate or bottom shoulder pad. The battery plate provides several different DC and P-tap outputs to allow you to power accessories.